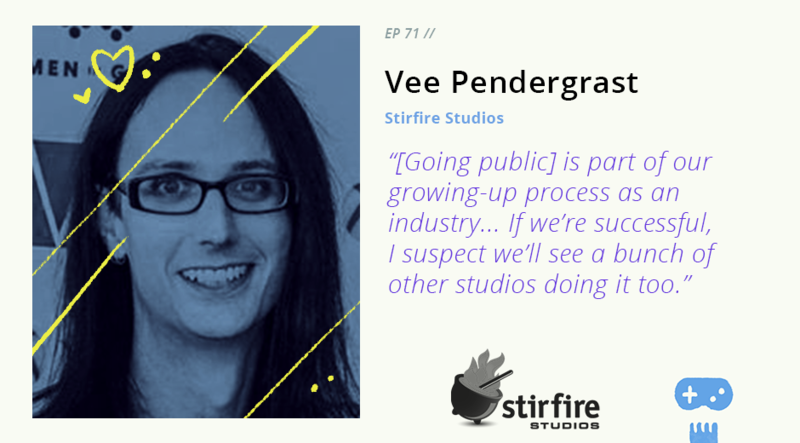 Vee Pendergrast is a co-founder of Stirfire Studios, but has something of a different perspective on launching and running games studios in Australia. Her background is in business management and finance, meaning she has chosen the games industry not just because making games was her passion, but because she saw it as a highly capable industry. Vee co-founded Stirfire Studios in 2010 while working in tech business development. Vee has been instrumental in raising seed capital allowing the business to make AGDA-finalist placing game Symphony of the Machine and attempt to IPO, initially in 2017 and opening another offer in 2018. Join Vee and our host Jason Imms to learn about the wild frontiers of taking indie games studios public, and much more!